Previous studies have examined the effect of aspirin intake on the mortality in breast cancer, but the results are inconsistent. A meta-analysis was performed to assess the association with all available studies. Relevant studies were identified by searching PubMed and EMBASE to November 2014. We calculated the summary relative risks (RRs) and 95 % confidence intervals (CIs) using random-effects models. For this meta-analysis, eight cohort studies and two nested case–control studies were included. The analysis included 26,931 participants for postdiagnosis aspirin use and 673,453 participants for prediagnosis aspirin use, followed up over a period of between 2.6 and 30 years. The results showed that patients who used aspirin after diagnosis had a RR of 0.73 (95 % CI = 0.54–0.98, P = 0.04) for breast cancer-specific mortality compared to those who did not use aspirin. Those who used aspirin after diagnosis (vs. non-users) had a RR of 0.84 (95 % CI = 0.63–1.12, P = 0.24) for all-cause mortality. Prediagnostic exposure to aspirin was associated with neither breast cancer-specific mortality (RR = 1.04, 95 % CI = 0.75–1.45, P = 0.80) nor all-cause mortality (RR = 1.04, 95 % CI = 0.61–1.78, P = 0.89). 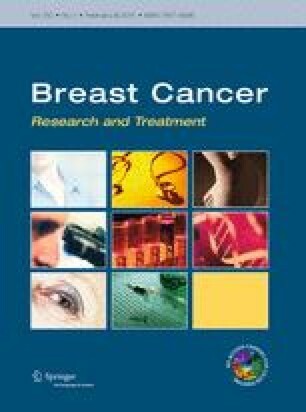 Significant heterogeneity among included studies may be due to a single study, after removing which the significant association between postdiagnosis aspirin use and breast cancer-specific mortality disappeared; however, prediagnosis aspirin use achieved a borderline significant association with risk of all-cause mortality (RR = 0.81, 95 % CI = 0.68–0.97, P = 0.03). In conclusion, aspirin use might has, if any, only a small effect on the survival of breast cancer patients based on current evidence. The online version of this article (doi: 10.1007/s10549-015-3300-z) contains supplementary material, which is available to authorized users. This study was supported by the National Natural Science Foundation of China (81272470).